Egypt’s Media Personnel Syndicate said on Sunday it has suspended TV host Ahmed Moussa and his show after an episode on Saturday that broadcast sound recordings allegedly made during Friday's shootout between police and terrorists in the Western Desert. 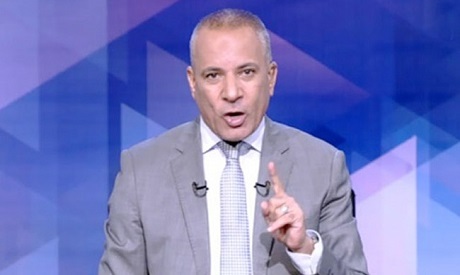 In an official statement, syndicate head Hamdy El-Konaissy said the decision came after an urgent meeting to discuss the Saturday episode of Moussa's nightly talk show On my Responsibility, which is broadcast by Sada El-Balad channel. Moussa, an outspoken supporter of the government, aired a recording of an unidentified person narrating details of the deadly shootout as police attempted to raid a terrorist hideout. Sixteen police personnel were killed and 13 injured in the resulting exchange of fire. According to El-Konaissy, Moussa broadcast media content that represents a breach of the nation’s supreme interests and national security, as well as basic media regulations. The syndicate said it will follow up with any criminal investigations into Moussa that are conducted by the general prosecution. Despite the syndicate’s urgent decision, it remains unclear whether the prominent pro-state TV host, who wins high ratings, will be suspended. Makram Mohamed Ahmed, head of the Supreme Council for Media Regulation, said in press statements that the media syndicate has no right to suspend any TV shows, adding that his council has not received any notice of an investigation into Moussa’s actions. He pointed out that the council is empowered to conduct investigations if a complaint is filed against the TV host and their program. Meanwhile, business tycoon Mohamed Abo El-Enein, who owns Sada El-Balad, said in press statements after the media syndicate decision that he only acknowledges the decisions of the Supreme Council for Media Regulation. “Ahmed Moussa will host his show tonight,” he told private newspaper Al-Masry Al-Youm, adding that Moussa will provide an apology at the beginning of his show for his “wrongdoing”. The Interior Ministry issued a statement on Saturday saying that alleged voice recordings broadcast by some media outlets claiming to describe events during Friday's deadly confrontation between police and terrorists in Egypt's Western Desert are unsourced and also make claims that bear no relation to reality. “These recordings, and the way there were circulated, aim to foment a state of disarray and despair in public opinion, and also reflect irresponsible, unprofessional conduct,” the ministry said. The ministry urged citizens not to pay attention to such recordings or rely on them as a source of information.